Who doesn’t like to find a hidden surprise? Surprises gives one an absolute delight, especially if its reference is something they know and can relate to. 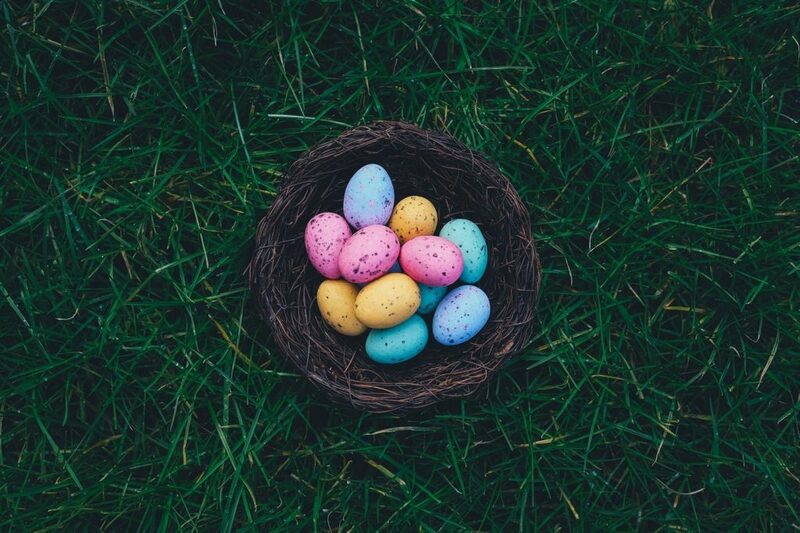 To make media more enjoyable, people decided to incorporate the idea of easter eggs. These are hidden references or bonuses in the content which can usually be found after close inspection. In fact, nowadays, almost every movie or game has some or the other easter egg in it. This name originates from the original idea of the easter egg hunt. In media, these are hidden jokes, references or secret features which the creators intentionally leave. And did you know where this term came into use? In an Atari game ‘Adventure’ which instigated further easter eggs in latter games. During that time, Atari did not mention the game developers in the credits as they feared losing them to competitors. Warren Robinett, the developer of Adventure disagreed with this. So what he did was pretty natural. He left a secret message that players could discover only if they moved their avatar over a certain pixel during a part of the game. That message was ‘created by Warren Robinett’ which a player discovered later and reported to Atari. However, removing that message was costly, so the Software Development Director suggested to leave the message as ‘easter eggs’ for players to find. Moreover, before Ataris game, the first text adventure game, Colossal Cave Adventure also had an easter egg. It was a set of secret words which allowed the player to move between two points in the game world. Later on, as technology progressed, so did the quality of these hidden treats. They went from small messages to hidden levels/rooms or references to other media too! And while easter eggs debuted in games, they quickly made their mark in movies and music videos as well. In Pokemon Diamond and Pearl, diamond dust snow is seen in Snowpoint City on January 10, 2008. This was the Director Junichi Masuda’s birthday. In the Legend of Zelda, we can see Majora selling a mask which resembles Mario. In the office areas of Portal, take a look at one of the keyboards. One of them has unusual yellow keys that spell out Adrian Shepherd. This is a homage to Half Life : Opposing Force. In one section of Gears Of War 3, if you keep shooting at one of the pipes a chicken will pop out. Furthermore, if you keep shooting that chicken enough, it will turn into a golden fiery chicken. Weird. Atari’s Adventure game has a credit easter egg as I explained above. In GTA IV, use a helicopter to reach the statue of Happiness. There will be a door between to signs which says ‘no hidden content this way’. Go through it and you find the heart of the city. Literally. Atari Games make an appearance in Call Of Duty Black Ops II. Start a private match on Nuketown 2025 map. Then, shoot the heads of every mannequin in 90 seconds or less. If you succeed, then tune into the TV near the population sign to play Atari Games. All while in a game. On January 10, 2008, director Junichi Masuda told players to play Pokemon Diamond and Pearl for a special surprise. Players found ‘diamond dust’ snow in Snowpoint City, unlike the usual snow, it was glittering. This was a birthday easter egg, but a really nice one. Bored of the level? In Sonic the Hedgehog’s title screen, pressing ↑, ↓, ←, →, A + Start will redirect you to a screen which allows you to select levels! 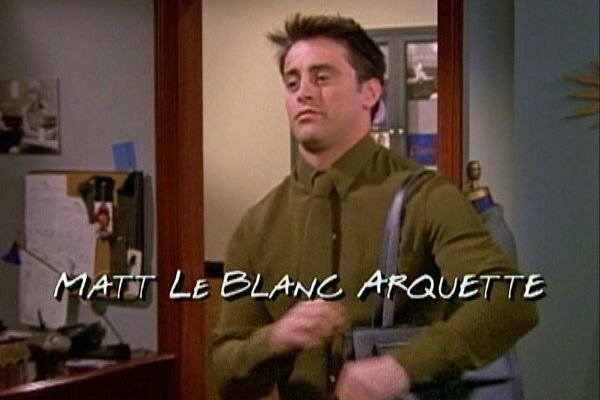 Every credit in one episode of the Friends show had Arquette in it as a tribute to Courtney Cox’s marriage to David Arquette. One can see R2D2 in a set of heiroglyphs in Indiana Jones : Raiders of The Lost Ark. We can find it in the scene where he finds the Ark. Amazing clash of genres! When Wilhelm Wicki is translating something for the Nazi prisoner in Inglorious Bastards, a yellow leaf falls near his chest, mimicking the Star of David. And yes, this was intentional. ( Im a big fan of this movie okay  ) In case you don’t know, the Nazis forced the Jews to wear that Star on their chest. Alfred Hitchcock seems to like being the easter egg in many of his movies. An idea which I believe inspired Stan Lee as well. Fight Club has an intentional Starbucks cup in almost every freaking shot. We know Pixar for its atrocious amounts of references to ots own movies. However, Toy Story seems to reference the Shining a lot, as we see its carpet design and such. That or Sid’s family is a Shining fan. Who can forget the good old Scarface? An amazing film, this one contains some hidden foreshadowing too. Before a murder could take place, one can see Xs in that character’s shot. Yes, you see an X near that character, consider them dead. And if I’m not wrong, even the title shot had one. The Friends TV show ( although not a movie ) deserves a spot here for its sweet easter egg. When Courtney Cox married David Arquette, she changed her surname. The show creators thus paid them a tribute! They added Arquette to each and every opening credits, as seen above. Simpsons has the most amount of mathematical references, probably considering how the show products and writers hold degrees of them. When Walter White removes his trousers in the desert ( Episode 1 ), miraculously they are still there at the end of the series. Probably all sandy now. See? Don’t easter eggs give a weird surprise to us when we find them? They are hidden gems, so many more which really on up the perspective media. Without these, there would be no element of surprise as such. While video games and movies have the most hidden references, so do comics, music videos, album art, artworks, etc. The possibility of finding an easter egg is limitless! So tell me, did you know about these hidden treats? Do you know any other easter eggs? Comment below! Did you know about these hidden treats? I don’t think so,no,I’m too much of a airhead to notice these types of things,really. Although I have to say,whenever I finish a game and after I get caught by the surprise that I failed at completing that game,it really gives me a magnificent and extravagant surprise when I find the hidden references really! What surprises me more,is that I played GTA IV a lot yet I didn’t manage to unravel that reference. Easter Eggs just as you stated are indeed something to look forward into to. Do you know any other easter eggs? Not much,but after I played a game called Final Fantasy XII and advanced into some parts where it required some massive math calculations to pull out certain items from certain treasure chests(since it was and still is based on RNG) it amused me too find such secrets that lied within an RNG,the best part was,it took me hours(on certain parts days). After that I got tired of relying on the RNG as it almost took a hit on my mental fatigue,so I decided to do some searching,and beating a certain monster over and over until you reach a certain number will decrease the RNG to 0 and make the item come out of the treasure at the first time. As soon as I found that I decided to do that on almost every single treasure chest,poor little me didn’t know that I had to gain massive levels before it. I prefer movie easter eggs, myself. I didn’t know Fight Club has a Starbucks cup in almost every shot. Great post anyways! I didn’t knew about that Fight club thing. Good to know after I had already watched it. Well, I haven’t played any of the games from your Easter eggs list. Final Fantasy has a number of Easter eggs as well!